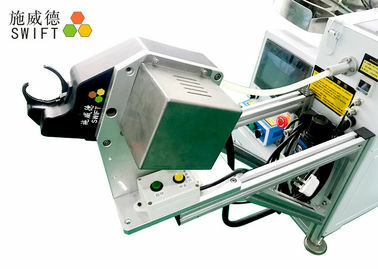 Automatic cable tie tool would use electric power and pneumatic. The machine could bind objects with plastic cable ties automatically, and could cut off plastic ties after threading. The bundling effect is good. 1. Place about 200pcs cable ties into the vibration plate, vibration feeding. 2. Pull the trigger to the gun head, automatic bundling, threading and tightening, cutting off. 3. All actions can be done in 0.9seconds. 4. The waste material after cutting off cable ties can be collected to a box by a collecting system. 5. It can be fixed in the bench or be fitted with a robot arm to full-automatic tie in assembly line. 6. Temperature and tensile force both are adjustable. 7. Using loose cable ties. 1. Loose nylon cable ties available, not reel zip ties. 2. Push the foot pedal, automatically feeding, threading, tightening and cutting off nylon ties. 3. The gun claw is up. The waste material could fall down to the ground directory and could be collected by a plastic box. 4. With temperature control system, it is adjustable. 5. 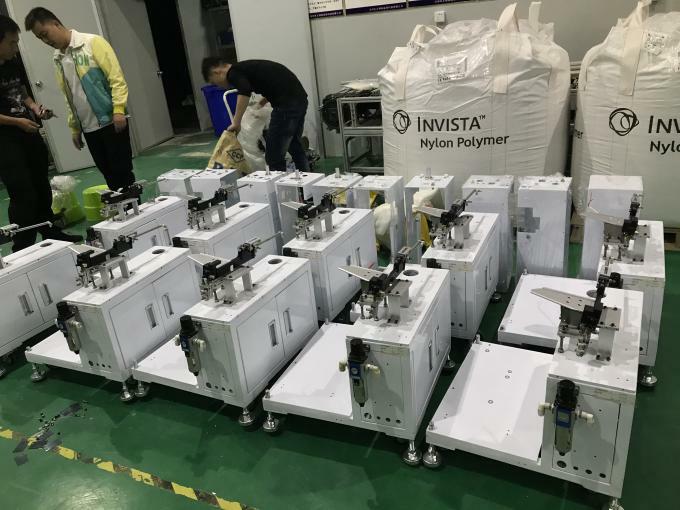 With automatic detect jam function, it would stop working if there is any cable tie left in the feeding hose, automatically clean jammed them and start to work. 6. The tying force is adjustable. The max force is 8kg. How to use cable tie tool? Place some cable ties into the vibration bowl – Power on – Select ”AUTO” mode – Pull the trigger thoroughly – start to work and bundle. 1. Every time put 200pcs zip ties into the bowl. It would not feed well if too many. 2. The Manual mode is for engineer using. 3. Get training before using. Applications Bundle objects with cable ties. Metal parts AC component, copper pipe, condenser pipes of air conditions, fridge etc. Food industry Bags, peanut oil bottles, bottles, crab claws fixed, the labels.